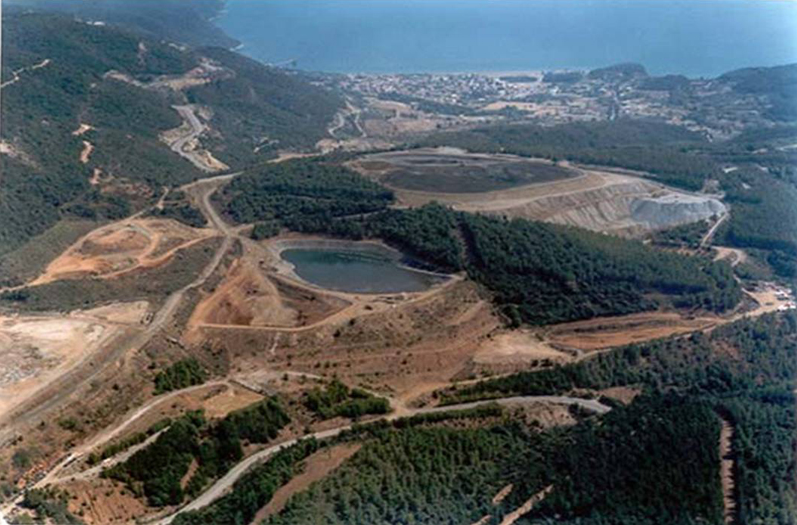 The Kisladag Mine, owned by Eldorado Gold through its Turkish subsidiary Tuprag Metal Madencilik Sanayi ve Ticaret, produced 179,195 ounces of gold through the first three quarters of 2011. This set a new record for the largest gold mine in the country. In addition to turning out a healthy supply of gold, Kisladag also has drawn in thousands of visitors who show up to see what a well-run cyanide heap leach operation looks like. The ore is abundant but low grade, with Proven and Probable Reserves of 430 million tonnes at a grade of 0.74 g/t, and Measured and Indicated Resources of 560 million tonnes at 0.68 g/t. So heap leaching is the only economically viable method for extraction. After drilling and blasting, a gyratory crusher and four cone crushers prepare the run-of-mine ore, and a conveyor system transfers it to a leach pad. In 2011, 12.5 million tonnes of ore went through the process at Kisladag. Liberating the sulphide ores that form the bulk of the deposit takes 100 to 120 days, with a recovery rate of 64 per cent. A carbon adsorption plant recovers the gold and the final product is shipped out as doré bars. Kisladag works hard to manage the risks in its operations. The deposit contains an amount of oxide waste, which is used to encapsulate sulphide waste and prevent acid mine drainage. “I’ve not seen it at any mine I’ve ever been at,” comments the mine’s general manager, Bill Crabtree. Both sulphide and oxide waste rock are hauled to a waste rock dump area in 150-tonne trucks. The oxide waste is dumped second so that it covers the sulphide waste rock like a metre’s worth of icing on a very large cake. Topsoil capping follows the oxide waste. This process has been repeated continuously from the project’s start. As the pit is excavated more deeply, the oxide ore will eventually run out, which Crabtree estimates at 40 per cent of run-of-mine in 2011 and 30 per cent in 2012. In anticipation, work is underway to compose a different cover mixture. Environmental concerns did delay the project initially. In 2007, less than a year after production began, a legal challenge to environmental approval set the mine at a standstill for seven months. But Kisladag kept on all of its employees, intensifying their training and waiting for the court case resolution. Meanwhile, the price of gold continued to rise. Ultimately, Crabtree says, the case cleared the courts and Kisladag restarted with greater local respect and a higher price for its product. Gold price permitting, Kisladag could be in operation for at least the next 10 years. It was planned in staged expansions, beginning with commercial production in 2006. The pit has a total surface footprint of 125 hectares, to be mined out over the life of the mine. In the initial stages of development, Eldorado used a local contractor with smaller trucks to haul waste. As big trucks and major mining equipment arrived in 2008, the mine hired on the workers who had been brought in and trained for the job. The local contractor continues to do other work around the site. In 2011, additional capacity was added to the crushing and conveying circuits. The next step is expansion Phase IV, which should add another 12.5 million tonnes to the leach pad and bump up production to about 475,000 ounces a year after its completion in 2014. A supplementary environmental impact assessment remains to be submitted and approved in 2012. New crushing, stacking and conveyor systems will arrive in the next few years, along with more trucks, shovels and drill rigs. A dewatering system will be installed once the pit is developed below the water table in 2014. Although the company was initially concerned that Kisladag’s location might limit the available equipment, Crabtree says that they were pleasantly surprised. For its Caterpillar equipment, Kisladag found dealers in both Istanbul and Izmir. Engine manufacturer Cummings, too, has a dealership in Istanbul. “We found out that there was a lot more here than we even dreamed of,” says Crabtree. Even with the larger trucks and shovels – Kisladag brought in the first local 785 Cat trucks – there was adequate support. The first two people hired to operate the Hitachi EX-3600 shovels had 18 years of experience with large shovels. Working in Turkey did pose special challenges. For one thing, work proceeds at a slower pace than in North America. And, although English is a required subject in Turkish schools, early on most new hires needed translators in order to understand the training with experts who came from North America. Now, Kisladag has hired and trained enough professionals that much expertise can be shared in Turkish. “As time goes by and people are getting more experienced in what they do, you won’t need all these translators because they know what they’re doing now,” Crabtree says. “They’re sharing that with new people on the site.” He observes that each time the mine undertakes an expansion, it gets easier, thanks to the gradual development of the mine’s staff. Hiring locally works for the mine, but it was also one of Kisladag’s planned social benefits, says Crabtree – along with paved roads, mobile health clinics, playgrounds and 72,000 trees for the semi-arid, unforested terrain. And the mine has developed with the local community in mind: neither the mine nor its closest villages had water resources on site, so Eldorado’s management arranged to develop several wells five kilometres away and deliver water to 13 nearby villages. Eldorado installed water and sewer systems both for its own project and for nearby villages. Two water storage ponds also divert water from the leach pads and provide water to operations. Kisladag’s management has taken steps to outfit the mine with useful technologies. In 2011, it introduced level control software to ensure that the reclamation area receives the optimal amount of topsoil. The software unit, manufactured by Topcon Positioning Systems, rides on the mine’s D9 dozer. 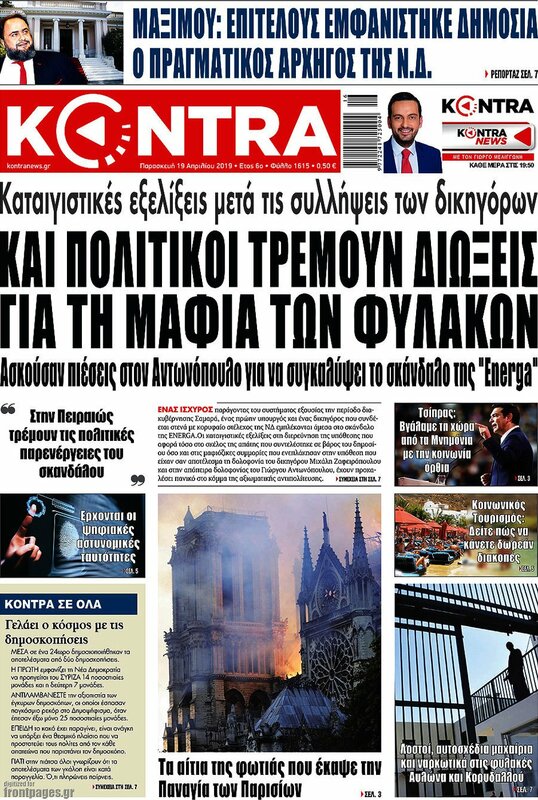 Αναρτήθηκε από STOχASTIS στις 9:21 μ.μ.